If you’re among the increasing number of people who are visiting Ljubljana, Slovenia these days, the loudest noise you’ll likely hear in the heart of the capital city’s old town center will be the clanging of a bicycle traveling across the cobblestone of the central Preseren Square. Or perhaps the laughter of children as they’re guided by their teachers across the city’s landmark Art Nouveau Triple Bridge, which spans the Ljubljanica River. Or the chants of demonstrators voicing their grievances under the watchful eye of Slovenia’s national poet France Preseren, the Romantic for whom the square was named. Just eight years ago the cobblestone streets of this part of Ljubljana (pronounced Lyoo-BLYAH-nah) were awash with cars and buses. Fast-forward less than a decade and much of the city’s main central zone is largely car-free, save for city service vehicles or “Kavalirs,” the electric-powered, golf cart-sized trams that shuttle visitors to small shops, cafes, and boutique hotels that now dot the old town center. These changes have already decreased carbon emissions in one main traffic corridor by 58%. That’s one of the reasons why Ljubljana– a city of 280,000 people that few have heard of– was selected by the European Commission as the European Green Capital for 2016. So what does it mean to become the European Green Capital, and why is this year Ljubljana’s turn? The aim of the award, launched by an association of European cities in 2006, is to highlight and promote the best practices of cities firmly committed to not only improving their urban environments, but transforming them into sustainable areas that meet ambitious quality-of-life demands. More than two-thirds of the European Union’s 508 million citizens live in cities and towns, underscoring the relevance of the Green Capital initiative and the inspiration its recipients can provide to other cities, both on the continent and all around the world. In the past, those examples came from larger, more established cities such as Stockholm (2010), Copenhagen (2014), and Bristol (2015), the UK’s eighth most populous city. All of these winners were located in Western Europe. 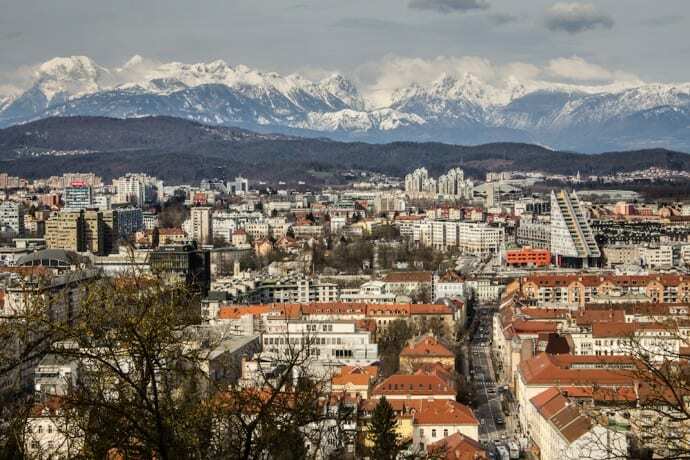 But Ljubljana’s selection redirects the spotlight, showing what smaller cities in central and eastern Europe can accomplish with political will and an ambitious (but actionable) vision. According to Karmenu Vella (the European Commissioner for Environment, Maritime Affairs and Fisheries), the focus of the European Green Capital honor has always been to encourage cities to focus on sustainable urban planning while also meeting the real needs of their communities. Why Was Ljubljana, Slovenia Selected? A group of 12 sustainability experts assess all candidate cities. They examine 12 key areas, ranging from how they’re working to adapt to climate change to their efforts to improve air quality and manage their water and waste. The development of sustainable transport networks, the creation of new green spaces, and the revitalization of former brown spaces are also important considerations. The jury noted Ljubljana’s rapid transformation in several of these areas. Many of them are the things most visitors notice when strolling through and around the city center. European cities feel the weight of cars much differently than their North American counterparts because they weren’t designed with cars in mind. They’re too old. Their streets are narrower. The only sustainable solution is to remove cars from the equation. That’s precisely what Ljubljana did in 2007, when much of the town center was closed to all motorized traffic (outside of early morning delivery hours). These aren’t merely pedestrian shopping areas comprised of a few city blocks, such as you’ll find in many cities. The car-free streets currently cover 100,000 square meters, or nearly 25 acres! As a result, the compact city center is mostly reserved for cyclists and pedestrians. 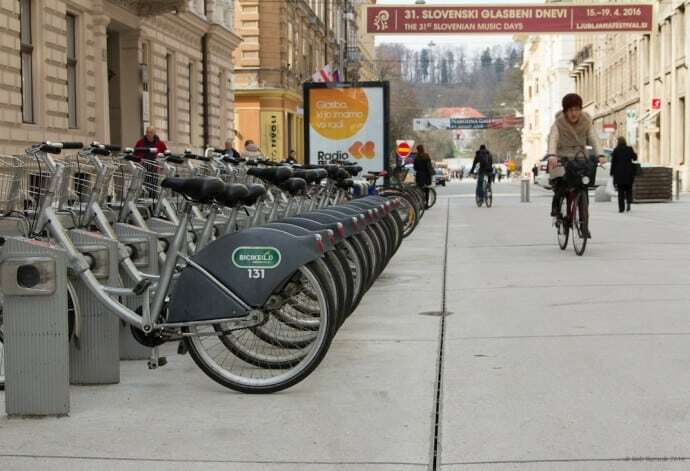 The most recent major mobility change in Ljubljana was the transformation of a portion of Slovenska Cesta– a main downtown artery– into a car-free zone. That idea took some getting used to, but ultimately caught on much more quickly than even its fiercest critics had imagined. Janez Koželj, an architect, university professor and deputy mayor, spoke about this transition at a recent forum on contemporary design. “One of my proudest moments as an architect and planner was seeing that society in Ljubljana has matured to the point where part of our main boulevard is now a traffic artery openly shared by pedestrians, bicyclists, and buses, with no stop signs or traffic lights,” he said. Nine bridges– the majority of them reserved for foot and bike traffic only– were constructed or renovated over the Ljubljanica River, one of the chief hallmarks of the city. Formerly ignored riverside promenades came alive, boosting businesses and commerce in neighborhoods that were almost forgotten. These bridges, some of which were planned over 100 years ago, made the city imminently more walkable. Because it is largely flat, Ljubljana is an ideal city for bicycling. 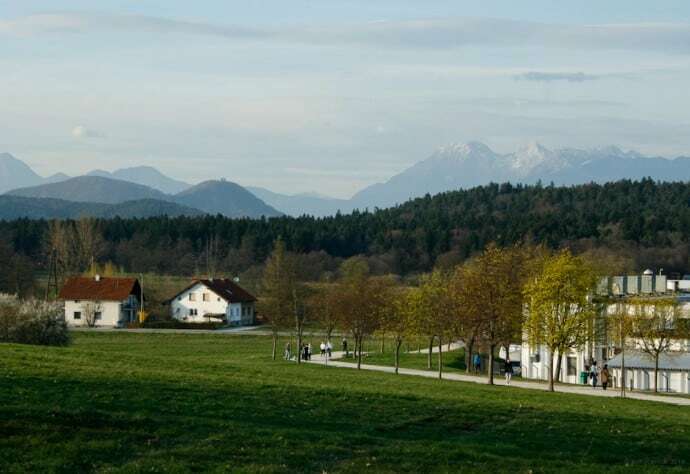 It boasts a network of 220km (136mi) of managed bike routes, and has encouraged bicycling through Bicike (LJ). 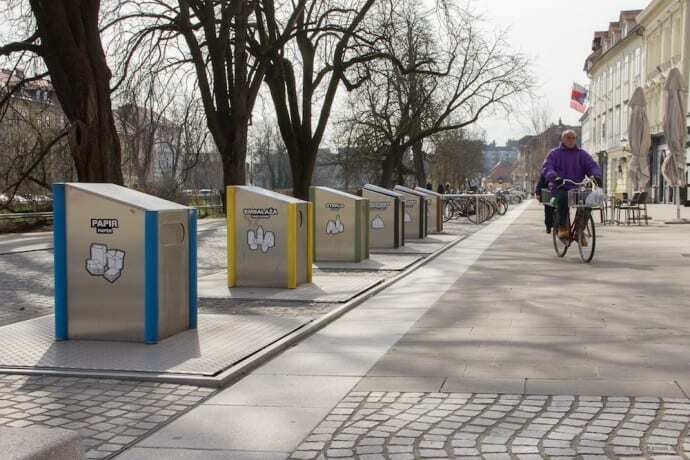 This bike-sharing system was inaugurated in May 2011 to immediate success. The number of users has grown to 70,000 people who have gone on more than 3.5 million rides (nearly half of those in 2015, so interest is growing). The service costs just €3 per year and is incorporated into Ljubljana’s Urbana City Card, which is also used for cash-free bus travel, local library services, and more. Journeys under 60 minutes are free. The second hour is €1, the third €2, the fourth and each additional hour is €4. But, with stations located 300 to 500 meters apart, you’ll basically never use a bike longer than an hour. This makes Ljubljana’s one of the cheapest transportation systems on the planet. Those who commute into the city daily have access to five park-and-ride facilities along the main roads. Their use is also growing steadily, and a bus ticket is included in the parking fee. All this combines towards the city’s next big goal, which is to more evenly distribute city-wide mobility by 2020. By then, they hope 1/3 of transportation will be by private vehicles, 1/3 by public transport, and 1/3 by non-motorized means (mostly bicycles). The way a city handles its trash is a key component of its sustainability. Here, Ljubljana has forged an impressive example. Last year, 65% of the city’s collected waste was separated, which marks a ten-fold increase over the last 10 years. This is the highest figure of any European capital, and has already exceeded the EU’s recycling target for 2020 by 10%. As a point of comparison, the national recycling rate in the U.S. is about 34%. 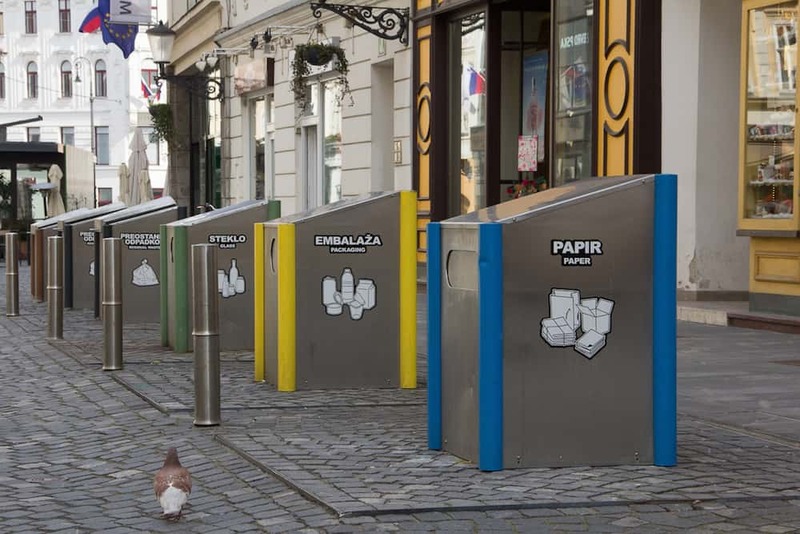 In many Ljubljana neighborhoods, waste is collected door-to-door. In most city center districts, it’s collected in underground collection units. For the latter, units for glass, paper and plastic packaging are available to all, while bins for biological and residual waste are accessible via cards that record how many bags each household disposes of. They’re later charged accordingly. In 2015, a new state-of-the-art regional waste management center opened just outside of Ljubljana. It’s now handling recycling and trash for 700,000 people in 37 municipalities, or 1/3 of the country’s population. 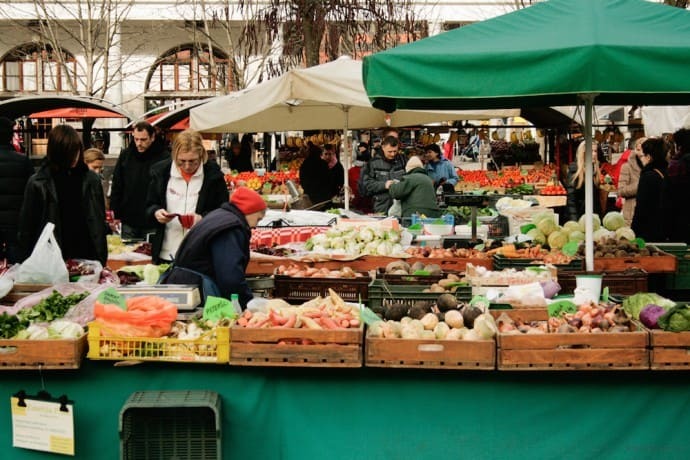 Ljubljana is also the first EU capital to pledge to adopt a Zero Waste strategy by 2025. Green Space is vital– the lungs of a community. 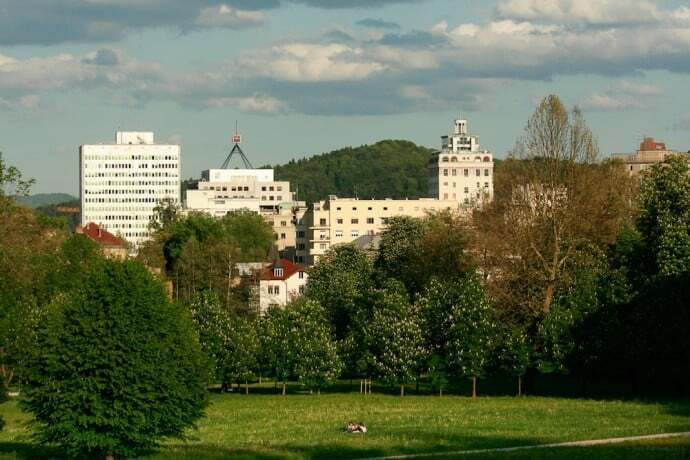 Ljubljana boasts a whopping 542 sq meters (650 sq yards) of public green space per inhabitant. This is thanks to large swaths of parklands in the west, primarily the sprawling Roznik, Tivoli, and Sisenski Hill Park. Some 46% of the city’s total area is covered by native forests– that’s 70% of the total green space, one-third of which is protected. 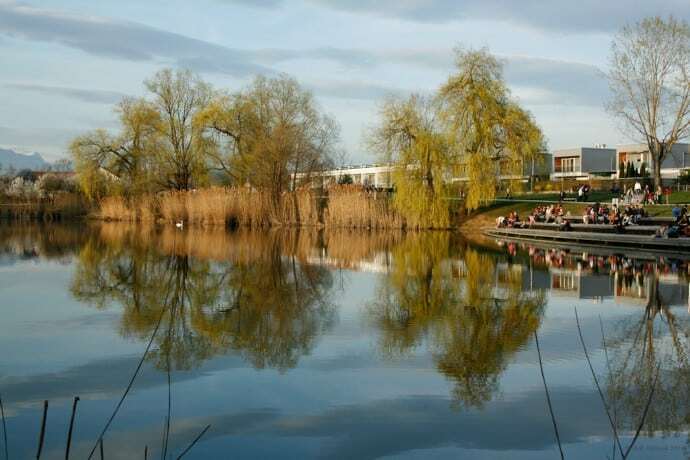 That statistic was padded by the addition of 80 hectares (198 acres) between 2009 and 2015, as former brown areas were transformed into parks and other green spaces. This is where the city’s progress over the past decade is most visible outside of the city center. Plans are underway to expand this ecological zone, connecting the city center to the parks in the west and to the forested Golovec Hill, another park network located in the east. These two park networks are also connected by the circular Path of Remembrance and Comradeship. This 34km multi-use trail follows the route of a barbed wire fence that was erected in 1942 by occupying Fascist forces, entirely cutting Ljubljana off from the rest of the world. Traversing urban and rural areas, it’s wildly popular and arguably the best tour one can take to see the “real” Ljubljana. Credit for much of these changes goes to Zoran Jankovic, Ljubljana’s three-term mayor, who was first elected in 2006. The former CEO of Mercator, a large retail chain in the Balkans, Jankovic laid out a Vision 2025 plan for reinvigorating the city and setting it on a more sustainable path. His administrations have implemented more than 1,600 projects, some of which were planned decades ago. Jankovic has been a controversial figure, mired in a series of scandals ranging from nepotism to corruption, which ended his brief foray into national politics in 2011. But they haven’t derailed his mayoral ambitions or general popularity in Ljubljana. This is where he feels most at home, in a city whose face and image have changed dramatically for the better under his leadership. 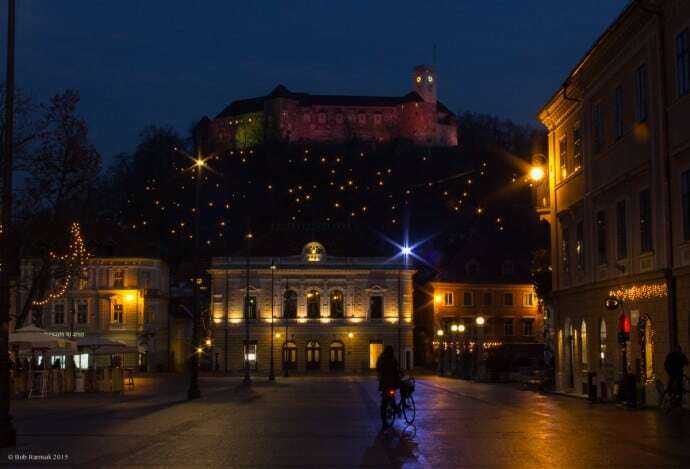 Ljubljana won a second European Mobility Week Award in 2013; was included among the Global Top 100 Sustainable Destinations in 2014; and won the World Travel and Tourism Council’s Tourism for Tomorrow Destination Award in 2015. Jankovic and his team are counting on the European Green Capital recognition to expand the city’s tourism efforts even further, and to open doors which have previously been closed. In effect, it’s an opportunity to rebrand the city as a premiere global ecotourism destination. A major component of that rebranding effort is changing attitudes locally, among a citizenry so close to the changes that many take them for granted. That’s already happening, according to Deputy Mayor Tjaša Ficko. “People not only are starting to know that Ljubljana is the green capital, but pride in that fact is spreading,” said Ficko, who also spoke at the ceremony in Brussels. For a small city like Ljubljana, which is still virtually unknown on the international scene, the title of European Green Capital of 2016 brings with it an opportunity to create and further shape its identity on the global stage. Slovenia is one of the planet’s newest countries, birthed when it broke away from Yugoslavia in 1991. It became an EU member in 2004, took on the Euro on New Year’s Day 2007, and later that year joined the EU’s Schengen border zone. What it hasn’t yet managed is to shape its own brand as a travel destination. Joining the European Green Capital club just may be the ticket it’s been looking for. By some indications, it’s already working. 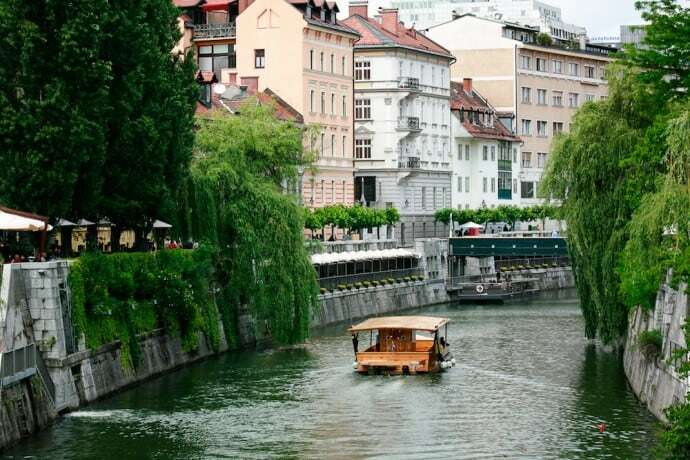 Over the past decade, tourist arrivals steadily increased 10-12% annually through 2014, when Ljubljana first topped one million overnight stays. According to preliminary figures, 2015 saw an 18% bump in tourism because of its selection as the European Green Capital. 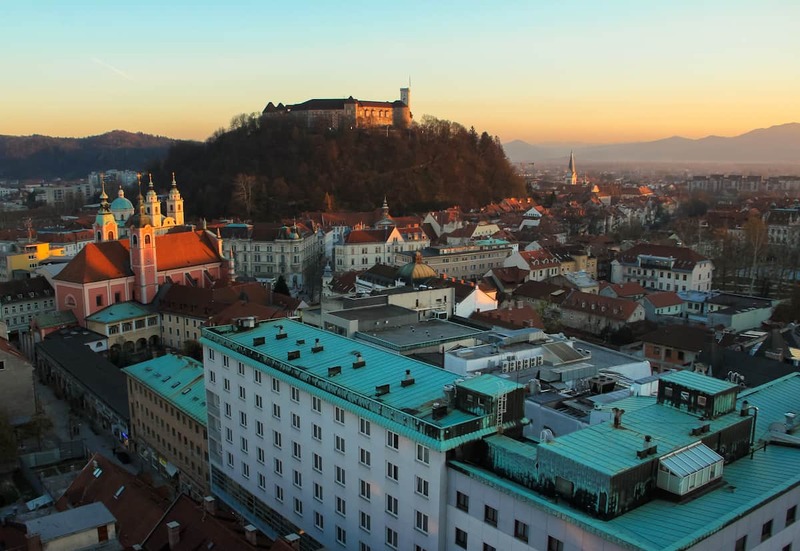 That, in turn, helped Ljubljana and Slovenia pop up on influential “Top Places to Visit” lists. I’ve been based in Ljubljana for most of the past 12 years now, and have closely watched its transformation unfold. In reality it has been far from perfect or seamless. The prioritization of some projects over others has given rise to valid criticisms, with its initial focus primarily on the city’s central core chief among them. The changes in Ljubljana have gone well beyond the cosmetic. 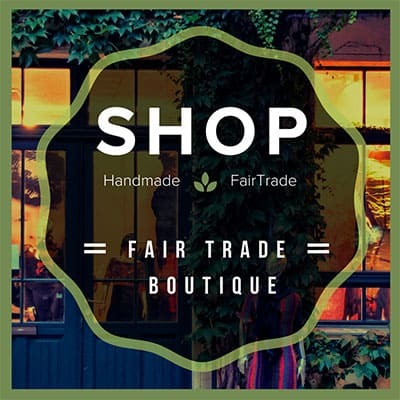 Most importantly, they have helped instill the importance of sustainability in most segments of the local community. As Deputy Mayor Ficko points out, the mindset, habits, and lifestyle of the city’s residents have changed significantly.